THE “HANDIEST” TEETHER YOU’LL EVER BUY! Suddenly your sweet, smiley little bundle of joy has turned into a cranky, drool-y munch monster – oh the joys of a teething baby! 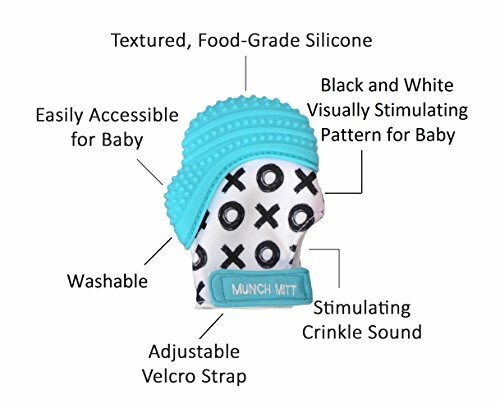 Enter the Munch Mitt… the undroppable, unstoppable teething mitt. 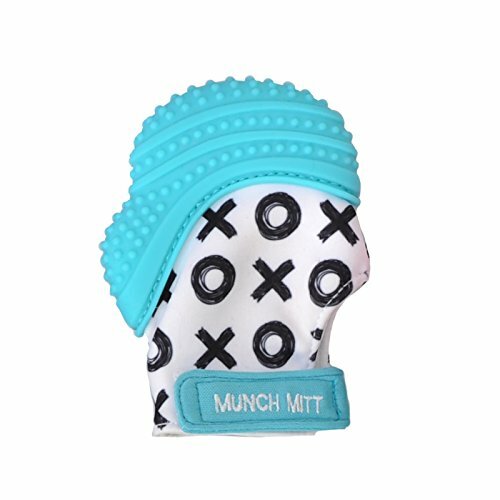 Made with food grade silicone, BPA and Phthalate free, the mitt is both convenient for parents and fun for babies. Give your little one the gift of self-managing teething relief and yourself the gift of free hands!HANDS ALWAYS IN TEETHING BABY’S MOUTH? This mitt from the Trendy Collection is the perfect solution! 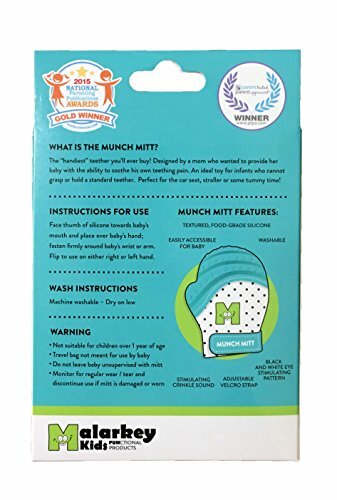 Give mom and dad the satisfaction of knowing they are doing the right thing by using this Munch Mitt® to keep teething baby safe from scratching themselves, saliva irritating their skin, and lessen the chance of developing blisters from thumb sucking. 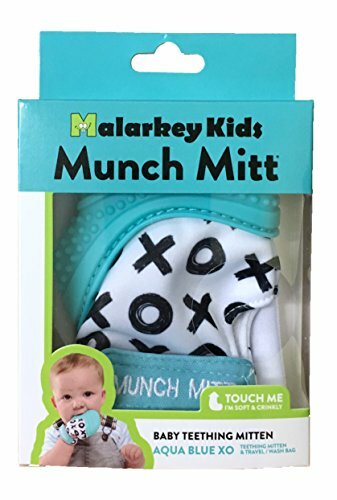 HELPS FUSSY, CRYING BABIES BY REDUCING PAIN FROM TEETHING. This chemical free, baby safe, all natural convenient approach to pain relief caused by teething will transform a fussy baby to a smiling baby in no time and make parents feel good that they are helping their baby feel better. Plus, with the additional color choices in this Trendy Collection moms can choose just the right color for her new happy pain free baby. SAFE FOR BABY AND MADE TO LAST FOR YEARS. Click the add to cart button now to receive Baby Maternity Magazine’s top choice, award winning self-soothing teething toy that is proven to entertain baby, encourages learning, is so well made it can be passed down to younger siblings, thus saving you money. It is made with food grade silicone and BPA and phthalate-free. 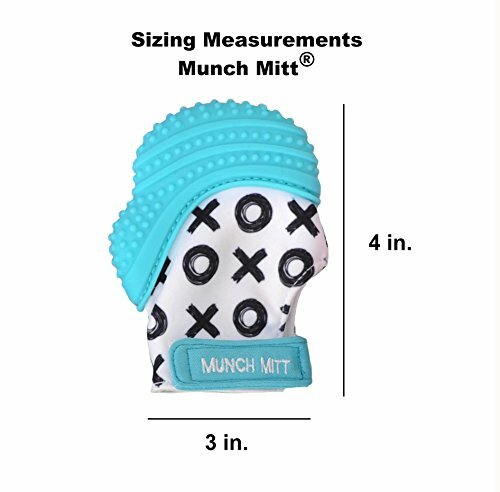 That’s right, press the add to cart button now to be one of the first moms to get a mitt from this exclusive Trendy Collection!